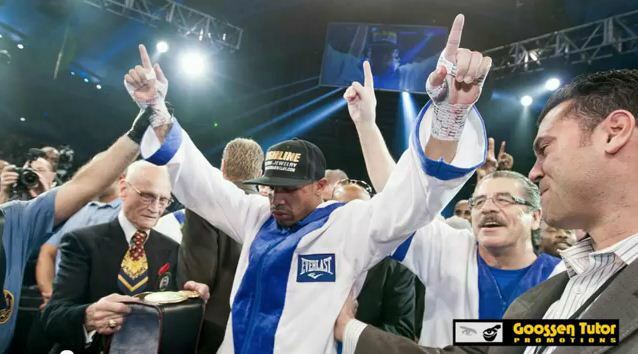 Andre Ward is making another strong bid to start 2014 as a free agent, filing a lawsuit against current promoter Dan Goossen (Goossen Tutor Promotions) to annul a contract that runs through 2016. Ward filed the lawsuit in LA County Superior Court, alleging that Goossen Tutor is violating state labor laws. Per TMZ Sports, Ward signed several contracts over an undisclosed period of time after turning pro in 2004. California law prohibits companies from signing individuals into contracts longer than seven years. According to Ward’s suit, Oscar De La Hoya was able to void his contract with Bob Arum’s Top Rank based on this law back in 2001. Earlier this year, Ward tried to leave Goossen Tutor but found his efforts stalled when an arbitration hearing ruled against him. Ward’s only fight this year came last month, where he won a wide decision over Edwin Rodriguez on HBO. At press time, Goossen Tutor has not released a statement on Ward’s suit. For someone that’s come off as very savvy and hardball at the negotiating table, it’s surprising to find out that Ward’s contract situation is so inflexible. However, there’s lots of missing details so everyone should refrain on making any snap judgments. The main question I have is when was the last “extension” that Ward signed? The fact that Ward says a “series” of contracts were signed makes me think that instead of a new contract, they simply kept extending years on the same deal he signed back in 2004. If that’s the case, then this lawsuit comes down to the “technicality” of whether a judge believes he’s really working on the same deal from 2004, or if the extensions constitute a new agreement. At 29 years old, Ward is desperate to break out on pay-per-view (namely against Julio Cesar Chavez Jr.), so I hope for his sake the judge sees it his way. If not, he’ll be stuck with making it work with Goossen Tutor (who to be fair, have done a very good job with Ward thus far) until he’s 32 years old and likely starting to slip out of his prime.